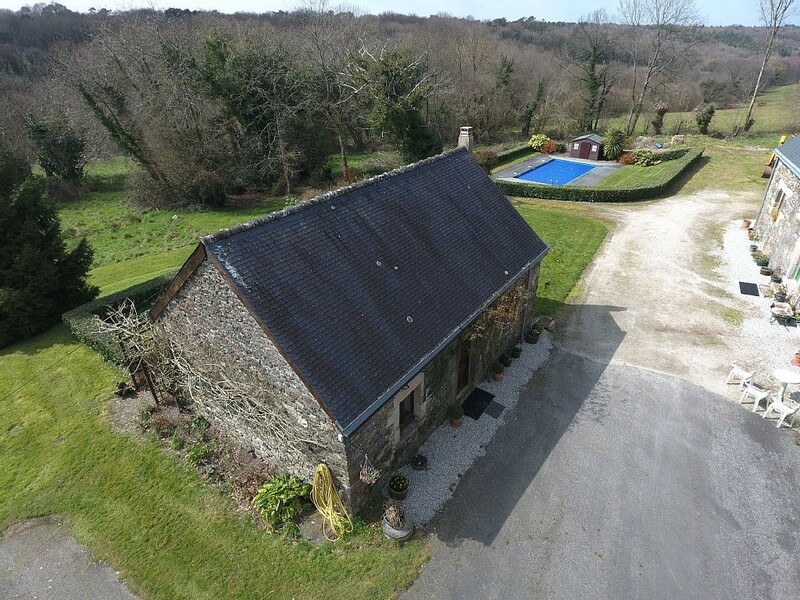 Situated in the heart of Brittany with less than one hour from the North, West and South coastlines makes this an ideal location to explore the whole of Brittany. 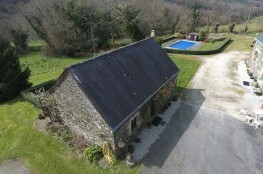 Lan Menach is a beautifully restored 18th century farmhouse and gites, set in 10 acres of unspoilt countryside, there are superb walks and cycling in the forest of Quenecan set alongside the Nantes-Brest canel. Fishing, Mini Golf, riding together with traditional bars and resturants are all 3km away in the village of Gouarec. Lac De Guerledan with its magnificent views offers water sports, pony trekking, bars, restaurants and even has a sandy beach ideal for small children. The larger historic town of Pontivy is no more than 20km away with a large variety of shops, restaurants and has a very pretty 9 hole golf course. Just 1km away is the Abbey of Bon Repos set on the Nantes-Brest Canel, this a very popular tourist attraction and is well worth a look, they even re-play the history of the abbey every year in the summer.